Hope everyone had a great Thanksgiving,gals !! 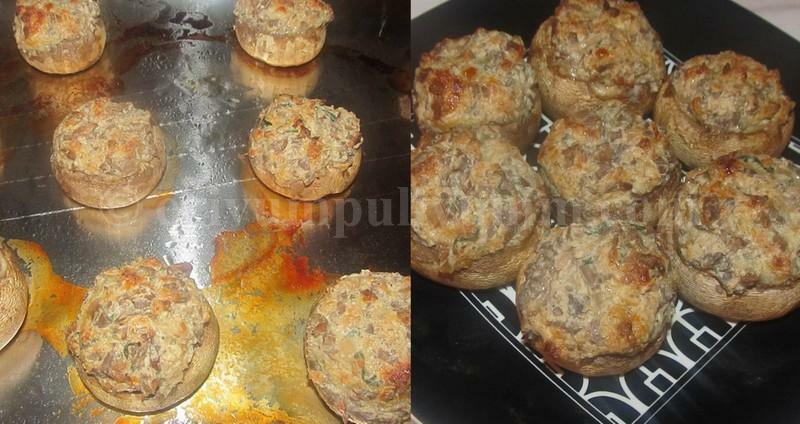 Today's recipe is Stuffed Mushrooms.Stuffed mushroom has a variety of preparations for stuffing(veg & non veg).This is a simple vegetarian stuffing that I tried.This can be served as a great snack or appetizer.You can use both button or bella mushrooms for this recipe.I referred both Kitchen Corner -Try it & A Tasty Challenge for the recipe.Thanx Suja & Asha for the wonderful recipes.Though both recipes are almost same,but I made slight changes here & there taking the tips from both.This is a very delicious recipe and a simple one to prepare for parties & get together.Do check it out !!! -Wash the mushroom under running water by holding the button top.Wipe it with a kitchen towel and snap the stem gently without breaking the cavity.Chop the stems very fine,keep aside. -Heat oil in a pan and saute the chopped onion/ shallots & garlic.Add the chopped mushroom stems.Saute for about 2 minutes until the water oozes out of the stems and is cooked.Add pepper & salt,switch off flame. -In another bowl,add the cream cheese,grated cheese,chopped coriander,add sauteed mixture and bread crumbs.Add salt & pepper if required. -Pre heat oven to 375 degrees F.Line a tray with aluminium foil and grease a tray with olive oil,keep aside. -Lightly salt the cavities,take a tea spoon full of mixture fill in the cavities.Place each of these in the tray with the filling side facing upwards.Drizzle few drops of olive oil on top. -Bake in the oven for 20 minutes.Serve warm !! * You can even add the bread crumbs at the end on top to get the crispy nature once you have filled the cavities.Add a tsp of butter,mix the bread crumbs & add to the top. * Be careful not to soak the mushrooms completely in water when washing. 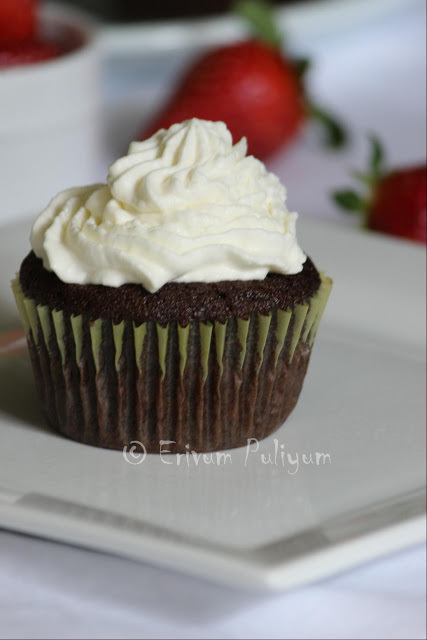 * I have used grated mozarella cheese and low fat cream cheese in the recipe. * I have used regular chopped onions. I made this once but with lot of cheese in it, your way is much better . Happy thanksgiving Julie, one of my weakness is this stuffed mushrooms, tempting. 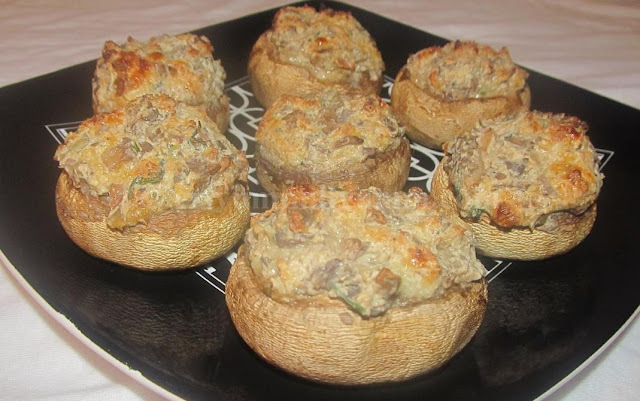 Beautiful Stuffed mushrooms Julie Suja's recipe is always good. 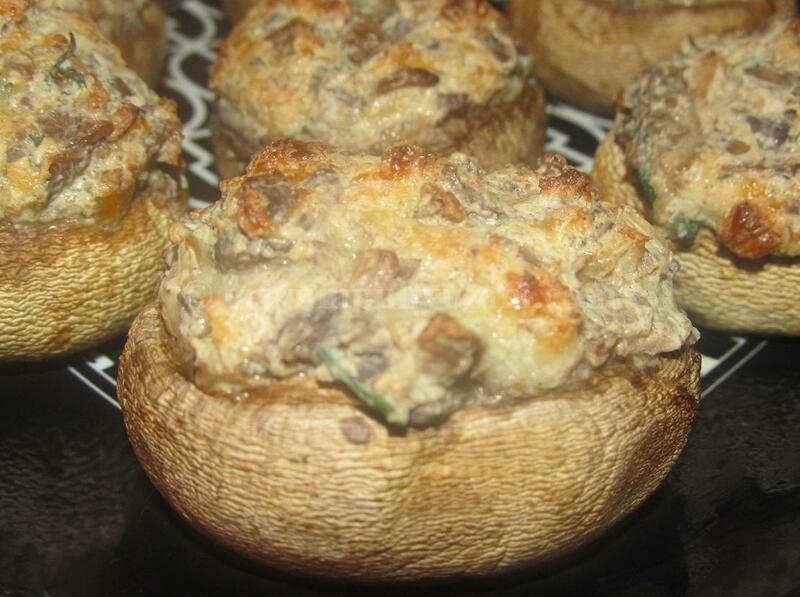 Love stuffed mushrooms..but have yet to try making them. Thx for sharing! Wow these look so beautiful and perfect!! so yummy and delicious!! Beautiful ingredients and delicious mushrooms! These look so mouthwatering! Are these Portbello mushrooms that you have used?? Yes, you are most welcome to link your archive entries :) Hope to connect with you on FB as well. nice presentation dear.. well made..
Soo creative and interesting yummy..!! 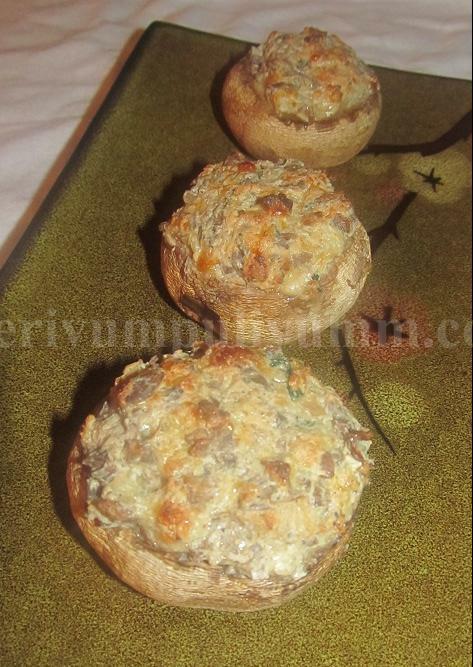 Awesome stuffed mushroom.. feel like grabbing one..
Its so tempting and ready to gulp!! I love mushrooms. Perfect and yummy cuties Julie.. Tempting and different with mushroom. hi julie. wow! 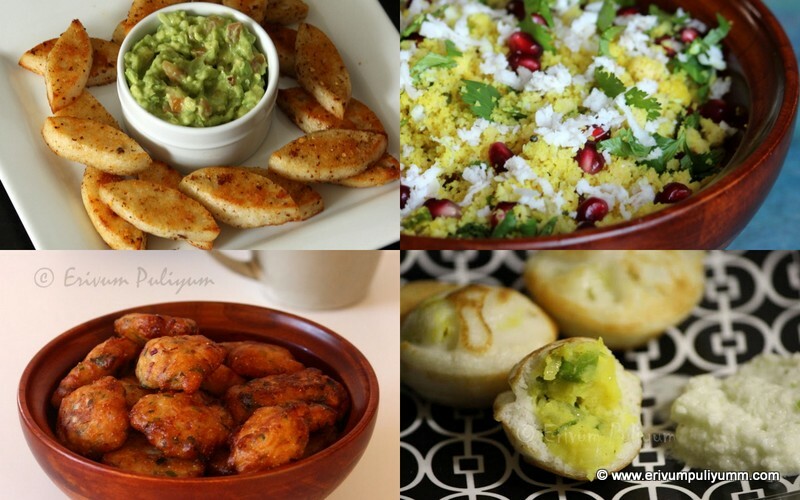 this is outstandingly innovative- delicious and looks very appetizing. bookmarked with thanks. Very interesting recipe, stuffed mushroom looks so yummy. Will try soon. Yum. My kids was just pestering me to give up blogging after seeing this she tells em to continue. Thanks u saved my sanity. I am yet to try this stuffed mushrooms, filling sounds so yumm n looks way tempting !! Deliciously made!! 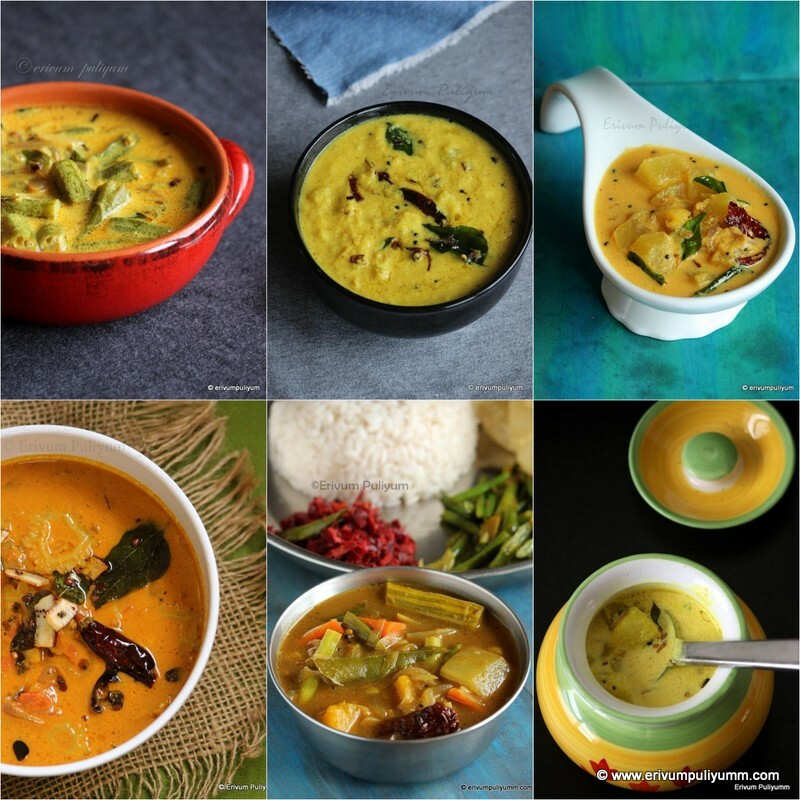 Very interesting recipe too!! Added little oregano and it was delicious.